When the Tokar Estate label was launched, Rita and Leon Tokar served wine and food to customers in their home. 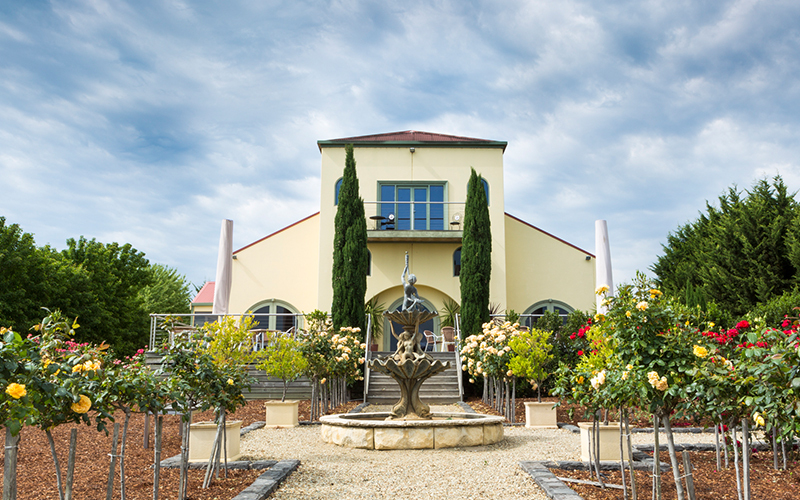 Their hospitality continues today in our picturesque restaurant and cellar door. The Mediterranean inspired building was designed to both take in and enhance its incredible surroundings. It is the ideal location to soak up the beauty of the Yarra Valley, with sweeping views over the gardens and vineyards to the mountain ranges. 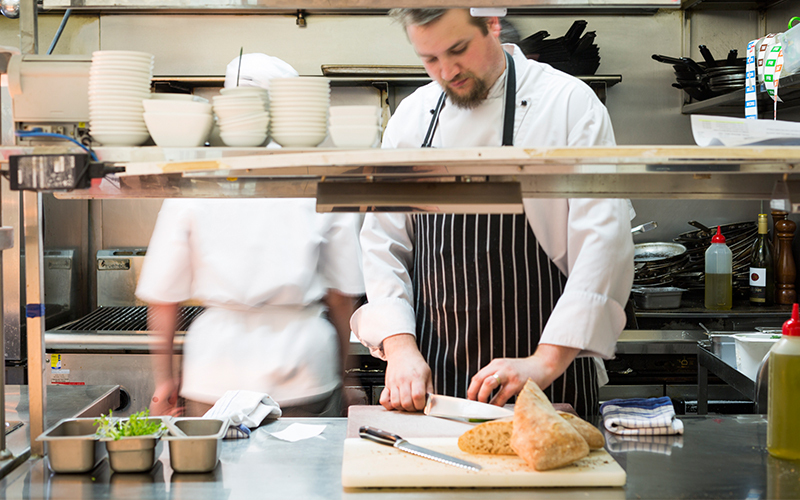 Head chef Callum Nugent continues the Tokar family’s tradition of ensuring their guests are generously fed. Wine and food can be enjoyed in a variety of ways – à la carte, set menu or more casual wine tasting and platter pairings. 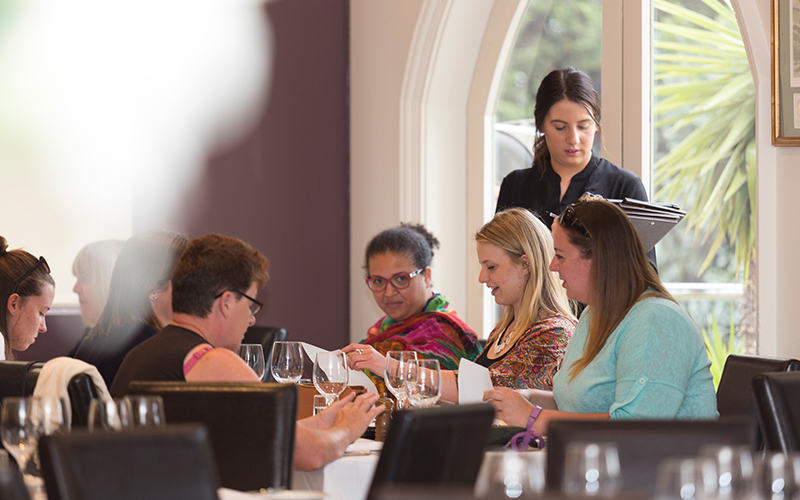 Our menu changes seasonally and reflects the surrounding region, and modern Australia’s multicultural cuisine. Our aim is to provide you with an enjoyable meal and experience. To that end, the food is hearty & honest and we make you feel at home. Come and drink in the views while you linger over a meal in the restaurant or on the deck. Download our Autumn weekend al a carte menu here. Download ourAutumn mid week menu here. Please note that our menu can often change with out warning. We recommend contacting us in advance to book. Please call or fill in your details below to request a table. The Tokar family can still be found welcoming new and old friends to the cellar door. 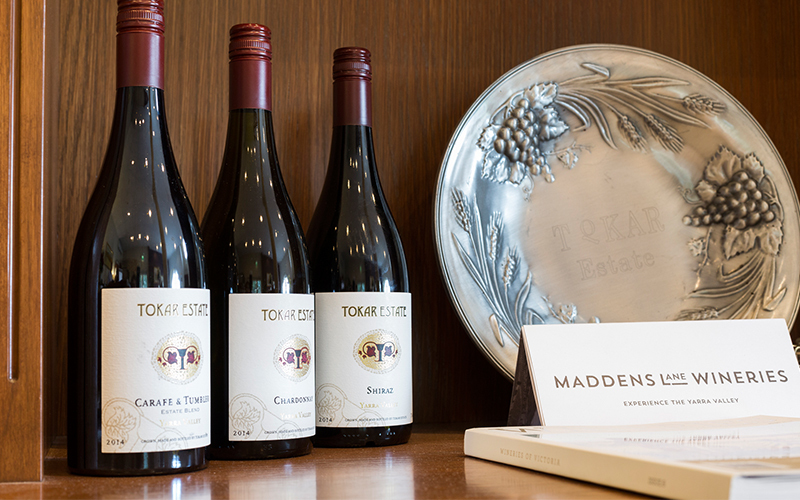 Let us, and our knowledgeable staff, guide you through the distinctive and award-winning wines grown, made and bottled at Tokar Estate. Become a part of the family. Join the Tokar Family Wine Club to receive wines handpicked by Leon Tokar and winemaker Martin Siebert. Members receive exclusive access to limited release wines and Tokar Family Wine Club events – as well as offers at the cellar door, restaurant and online.